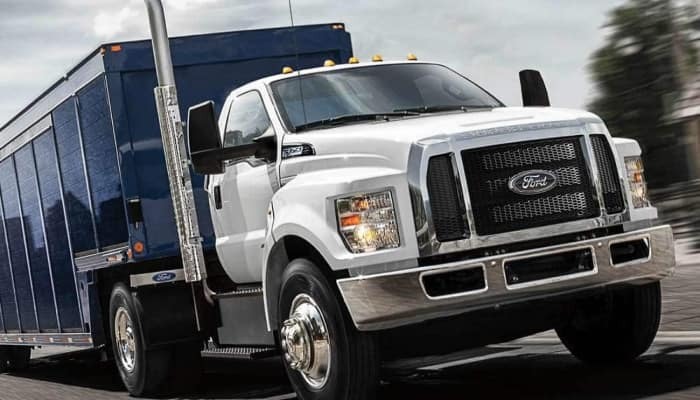 What Performance Options Are Available For Ford Commercial Trucks At Sutton Ford Commercial? 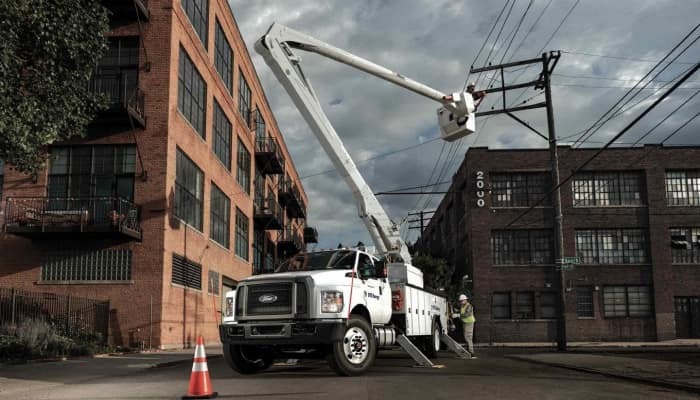 The performance and power options available in the Ford medium duty commercial truck line-up are exceptional and far surpass those of any of the rivals in their class. Ford commercial vehicles are well-known for performance, payload, towing, hauling, horsepower, torque and of course all of the newest advanced fuel options. The Ford medium duty commercial line consists of the Ford F-650 and the Ford F-750 which are in the Class 6 and 7 commercial truck range. This means that the Gross Vehicle Weight Rating of both vehicles on average can handle between 25,999 pounds and 33,000 pounds. With this much weight capacity these commercial truck monsters need to be power and performance machines. 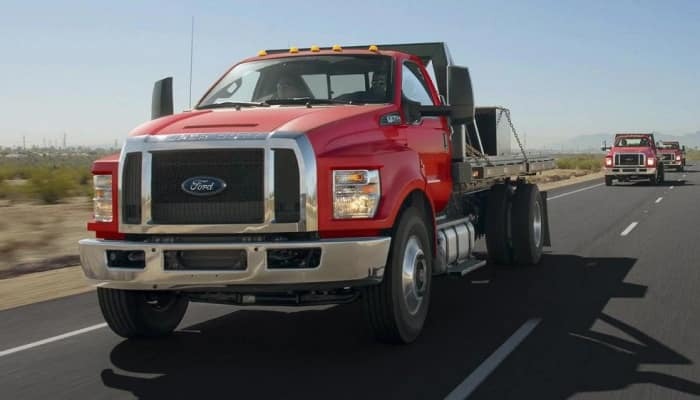 Both the Ford F-650 and the F-750 come with two engine options which are both paired with a six speed Ford engineered TorqShift automatic transmission. These medium duty high performance machines are engineered with technology specifically for hauling and towing with integrated braking mechanisms for superior precision while on the road, during working hours or recreation. Ford has also re-engineered the concept of fueling these medium duty commercial trucks with all new advanced fuel options with the two engine types on the Ford F-650 and the Ford F-750. Sutton Ford Commercial located in Matteson, IL has a huge inventory of commercial vehicles waiting for you to check out today! If you prefer you can check out our commercial inventory online. The Ford TorqShift HD is the 6 speed automatic transmission uniquely designed and engineered by Ford to be paired with the 2 powerful and performance rated engines for the Ford F-650 and F-750 medium duty commercial trucks. What is Live Drive PTO? The Ford Live Drive Power Take-Off is basically allowing an accessory that is needed to do a job, or otherwise, to run off of the engines power by hooking up to a fitting on the crankshaft that is powered by the running engine of the tractor or Ford truck. In this case the Ford TorqShift HD six speed transmission has a Live Drive PTO which has both a mobile and a stationary mode available. The diesel allows for a split-shaft moving Live Drive Power Take Off capability while both the gas and diesel allow for the stopped truck or tractor capability. 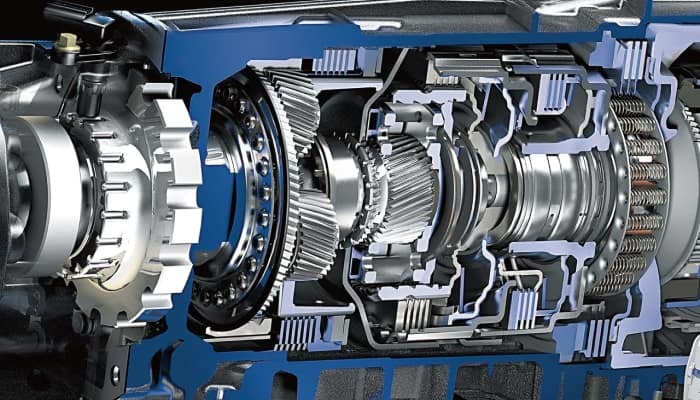 The split-shaft option does however generate much more direct power to the output shaft to the transmission than the stopped truck method but you can hook up more accessories at one time with the stopped truck or tractor method. What are Advanced Fuel Options? With the cost of fuel today, our footprint on the environment and the way we are polluting our world, Ford has come up with a few advanced fuel options for their medium duty truck and tractor line-up. The V10 6.8L engine comes with the option to get the Gaseous Engine Prep Package which allows for the option to convert to compressed natural gas or auto-gas propane. With the prep packages you get special hardened intake engine valves and exhaust valves plus much needed valve seats. The Turbo Diesel V8 engine has the option of being B20 compatible. When we get down to the power and performance of these monster medium duty trucks and tractors we see that the engines are what really make the biggest difference with these terrific machines. The Ford F-650 and the Ford F-750 are both available in either the Power Stroke Turbo Diesel V8 or the V10 Triton 6.8L gas engine. Visit us when you are ready to stop into Sutton Ford Commercial of Matteson, IL and we will get you in and out in no time. We also combine our excellent lease and finance specials with great local and regional manufacturer incentives to save you thousands of dollars more off your new Ford commercial purchase. Stop in and see us today! Why Buy From Sutton Ford Midwest Commercial Truck Center Serving Matteson, IL? 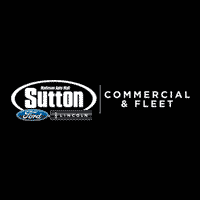 At Sutton Ford Commercial of Matteson, IL, we are a proud supporter of our local community in Matteson and we strive to provide the Best Customer Service possible. We want you to be comfortable during your experience purchasing a new Commercial Truck. We’ll make sure everything is taken care of and there are no surprises during your visit to Sutton Ford Commercial Dealership. We want to make your next vehicle purchase an experience you wont forget. Come visit us now off Central Ave in Matteson, IL!